With the most luxurious Remy human hair wigs, The Raquel Welch Couture Collection is as close to perfection as it gets. "Calling All Compliments" and "Glamour & More" join six other Remy human hair wigs and one human hair top-of-head piece. Each style is made with Certified Authentic 100% Remy human hair and features an exclusive Pinnacle cap with a French Drawn Top for the ultimate comfort. Check out the video below to learn more about the sophisticated Memory Cap Technology used in the The Raquel Welch Fall 2017 Signature Wig Collection's Memory Cap 3. The Raquel Welch Spring 2017 Wig Collection has arrived at Wigs For Black Women! The Collection consists of five new styles, including one "Voltage Elite" with new upgraded features! "Beauty, style, fashion, flair: My newest collection represents everything I’ve learned from stylists, hairdressers, and makeup artists that they will never tell you. The Intel this pring: Go modern and think modern. Think natural movement and relaxed styles. Think pared down and simple. What not to do? Overdo. Think comfort—a wig should be as easy as slipping on a T-shirt and jeans"
The Spring 2017 Collection by Jon Renau has arrived to Wigs For Black Women! The Jon Renau 2017 Spring Collection consists of synthetic and Remy human hair wigs in modern styles created to flatter any wearer. Featuring top quality construction, monofilament materials, and their new method of french knotting, the new collection breathes new life into the Jon Renau brand! New styles include: Sarah, Mena, Emilia, Eve, Cara, and Cara Exclusive. The 2017 Hi-Fashion Collection by Rene of Paris is now available at Wigs For Black Women! The stunning, fashion forward collection features six new styles: Zuma, Evanna, Brenna, Vina, Sonoma, and Rina. Within this collection, Rene of Paris also debuts gorgeous, edgy, new colors. From a chic Rose-Gold to a shimmering Ice-Blond to a rich Honeycomb-Brown and even an icy Pastel-Blue! Update your spring look with a wig from the 2017 Hi-Fashion Collection found exclusively at Wigs For Black Women! Now available at Wigs For Black Women is the new 2017 SPRING COLLECTION by Gabor featuring five stunning styles: Sweet Talk, Curl Appeal, Sheer Elegance, True Demure, Runway Waves Average & Runway Waves Large! The Collection officially debuts on 3/15/17 but is available for pre-order starting today exclusively from SCW. The Black Label Collection by Raquel Welch is proud to introduce two new stunning 100% human hair styles: Success Story and Game Changer - now available at Wigs For Black Women! Have you checked out the SmartLace Human Hair Collection by Jon Reanu, now available at Wigs For Black Women? Use discount code FLASH30 to save 30% off your wig from this collection or any collection on SCW! Jon Renau SmartLace Human Hair wigs are some of the most innovative, high quality and natural looking wigs on the market today. The ready-to-wear lace front creates the appearance of natural hair growth along the front hairline. The lace front is constructed with a fine, sheer material to which hair is individually hand-tied. This allows for styling away from the face. And the 100% human hair is incredibly soft, healthy and luxurious. It's the highest grade human hair available. You can style human hair wigs with heat tools as you would your own hair, for the exact look you want. The Smart Lace Human Hair wigs by Jon Renau offer a superior look and feel for the woman who wants the very best. Enter discount code NYE30 to save 30% off your order, no minimum purchase required! Save 30% off your entire order at Wigs For Black Women using discount code HOLIDAY30 at checkout! Holiday savings have arrived at Wigs For Black Women. Celebrate with us early by using discount code HOLIDAY30 at checkout to receive 30% off your order! Start saving now at Wigs For Black Women in honor of Thanksgiving week. Enter discount code THANKS30 at checkout to save 30% off any and all orders! No minimum purchase required. In addition, orders of $250 or more will still receive free shipping within the USA! Take advantage of this HUGE sale and try out new styles from the FALL 2016 collections of Raquel Welch, Jon Renau & Gabor! -Save 30% off ALL orders using discount code FALL30 at checkout in honor of our FALL FLASH SALE! -All orders over $250 will automatically receive FREE shipping within the USA, no discount code required. -All Jon Renau orders will receive a FREE brush and wig cap with purchase, no discount code required. Enter discount code OCTSALE at checkout to receive incredible savings in honor of our Wigs For Black Women' Fall Sale! Apply it and save when you shop the Black Label Collection by Raquel Welch or any collection!!! 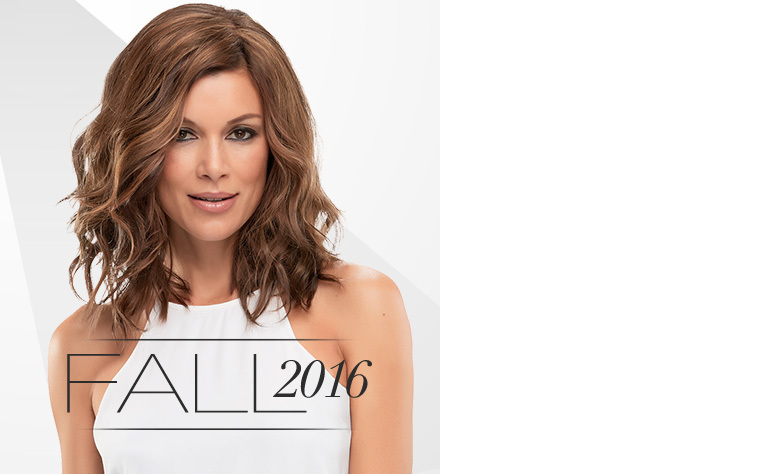 Wigs For Black Women is proud to debut the Jon Renau 2016 Fall Collection! Harnessing the excitement of emerging fall fashions, Jon Renau unveils five new styles in its 2016 Fall Collection. These new wigs combine effortless style with on-trend sophistication. The Jon Renau Fall 2016 Collection includes 4 wigs and a top piece in 12" and 18": Sandra, Ciara, Miranda, Kaley and Top Wave. Use discount code SAVENOW at checkout to receive 30% off your order today! Wigs For Black Women is delighted to share with our customers THE BLACK LABEL COLLECTION by Raquel Welch! The Raquel Welch Black Label Collection features THE best selling human hair wigs and hairpieces. These fan favorites are made with 100% human hair for the most natural look and feel. The Black Label Collection is the perfect blend of chic and sophisticated. The collection includes: Applause, Beguile, Bravo, Contessa, Grand Entrance, Headliner, Knockout, Princessa, Soft Focus, Stunner, 100% Human Hair Bang, and Special Effect. "Harley Quinn" wig from the popular Suicide Squad is now available to order at Wigs For Black Women. The sensational wig comes with the character's signature colors, and a lace front cap for a natural appearance. Order now for Halloween! This custom styled wig is also elegible for 30% off using code SEPTSALE!